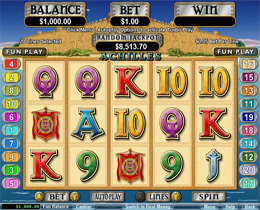 Achilles is a 5 reel, 20 payline RTG Slot Game based on Achilles, the mythological Greek warrior offers players excellent gaming enjoyment. It consists of excellent icon graphics such as Achilles, Troy, Helen, Horse, Flag and a Shield with stunning sound effects to enhance the whole gaming experience. 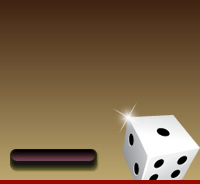 Players stand a chance of winning the Jackpot of 5000 coins together with 2 different bonus features where you can win free spins up to 25 at triple the pays, plus the spins can be retriggered.